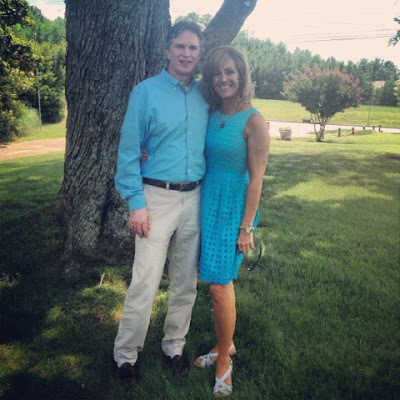 The Christian Wife Life: 30 Years and Going Strong! 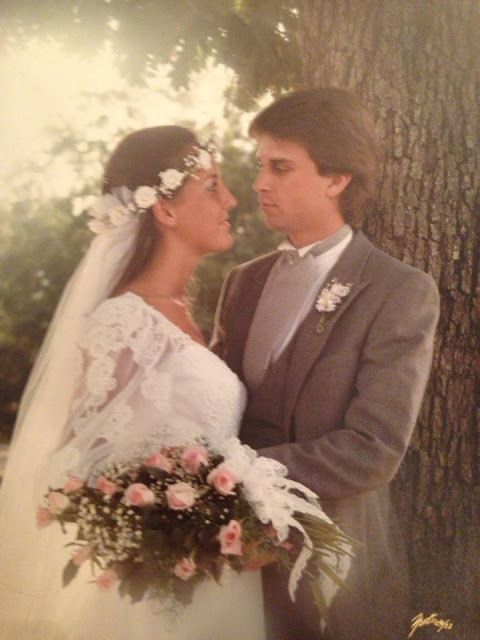 Last week my parents celebrated their 30th wedding anniversary! She had just turned 19, he was 21 (almost 22). Doesn't my mom look like a Native American princess?? :) And that veil is the one I wore in our wedding! Minus the lovely headband, haha. The best part is that they are still completely IN LOOOOVE. I'm so grateful for their commitment to each other and how they keep their relationship fresh after 30 years. Even through changes and struggles they have continued to show each other love and respect and stay centered on Christ. What an amazing example to me! They are constantly laughing together and teasing each other. They can disagree without raising their voices or losing their tempers. They have a weekly date night to Moe's. They share in each other's interests - my mom watches baseball with Dad and he joins her in antique stores. They have kept their relationship strong regardless of whether there are kids living at home or not. I've watched them go through some REALLY tough stuff and stay united through God's strength. They are so good to me and Jordan - always ready to help but not too overbearing. Mom is extremely attentive to Dad's needs/wants, especially after a long day of work. Dad treats Mom lovingly even when he's tired or stressed out. They are still affectionate and lovey-dovey. They take time to hang out with their friends but put each other first. They love the Lord and are prayer warriors! I could go on and on and not express my thankfulness for my parents' marriage enough. I have been amazingly blessed by them and their example. Jordan and I both have incredible examples of Christ-like love when we look at our parents' marriages. Praise the Lord for that! So sweet, Happy Anniversary to them! Awwwwww love this!!! SO SWEET! So sweet. YOu look so much like her! I'm Going to the Influence Conference!